James Johnson was a 27-year-old father of one when he was referred to CAPFSC/Tableland Services’ program from the Department of Human Services office. 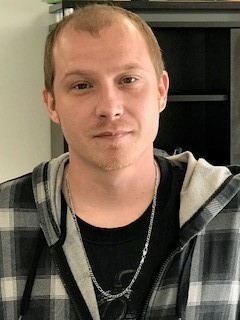 While James had a previous work history in Fayette County prior to relocating to Somerset County, he found himself in financially hard times for the first time in his life, as he was without a job. James was in search of employment that would pay him a salary that would support his family and enable him to become financially stable again. This would become his focused career goal. One of the immediate barriers to overcome was finding a safer place to live. An additional barrier was earning a GED, which Employment, Advancement and Retention Network (EARN) program helped James accomplish. Once these barriers were overcome, James and EARN concentrated on creating a résumé for job applications along with obtaining professional references. James also improved upon his interviewing skills, with a focus on interviewing techniques and learning how to answer interview questions. These focus areas served James well in his search for good employment opportunities. In June 2013, James was successfully employed with Somerset County Transportation System as a Route Driver. He was hired at an hourly rate of $7.50. He was excited and grateful for this employment opportunity, and the icing on the cake was being only one mile from his home. Today, James continues his employment with Somerset County Transportation System. He has received numerous recognitions throughout his employment and is a strong asset to the organization. He is now earning $9.62 an hour. James has also secured housing in a safer location where he can support and raise his family. He is grateful for all the help he received from the EARN program on the road to self-sufficiency.